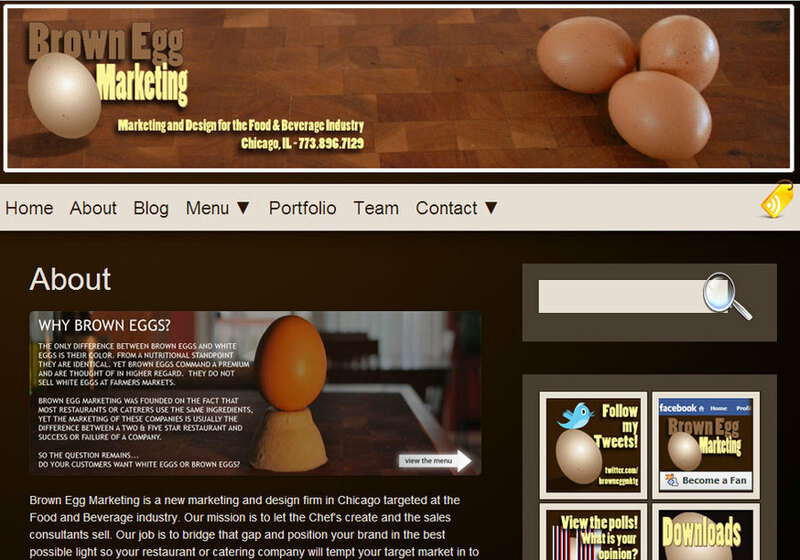 Brown Egg Marketing is a new marketing and design firm in Illinois targeted at the Food and Beverage industry. Our mission is to let the Chef’s create and the sales consultants sell. Our job is to bridge that gap and position your brand in the best possible light so your restaurant or catering company will tempt your target market in to picking up that phone and ordering over your competition. Brown Egg Marketing is web design for Restaurants, Caterers and Chefs seeking a that tempts their customers palette in to action.